Our SCORE-N-TIME™ Large Portable Scoreboards measure 32 inches by 24 inches in size, and feature your choice of wireless remote control keypad or sit-behind LCD keypad, 6-inch tall digits which can be seen up to 250 feet away, and a variety of operating modes that allow your scoreboard to be configured for almost any sporting event. Click on a model shown below for more details and pricing. 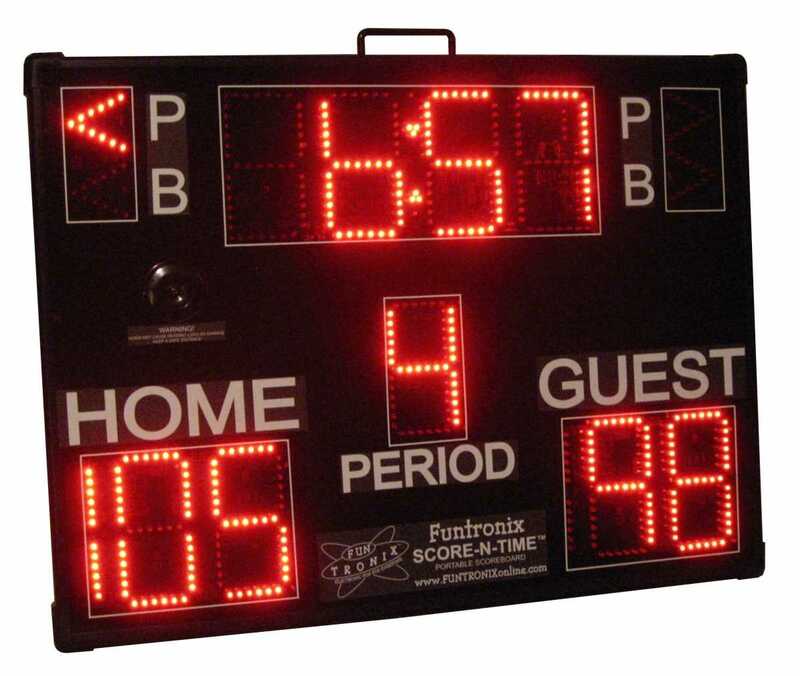 Bigger, Brighter, and Louder version of our SNT-140 portable scoreboard. Outdoor-viewable up to 250 feet. Price starts at $775.00. Model SNT-440. 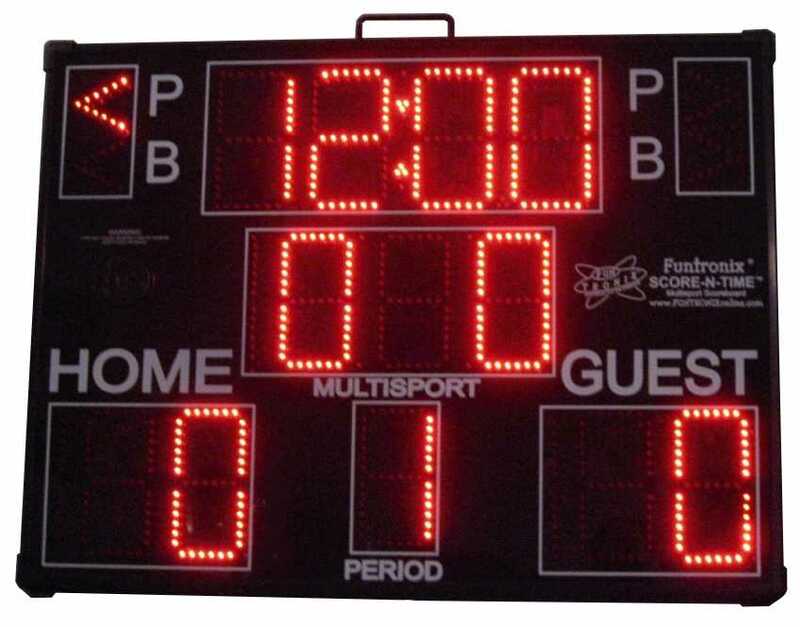 Pro-Version of our SNT-440, has additional multi-function display with selectable shot clock, team fouls, baseball and football stats functions. Price starts at $875.00. Model SNT-440P. Baseball version of our large scoreboard family. 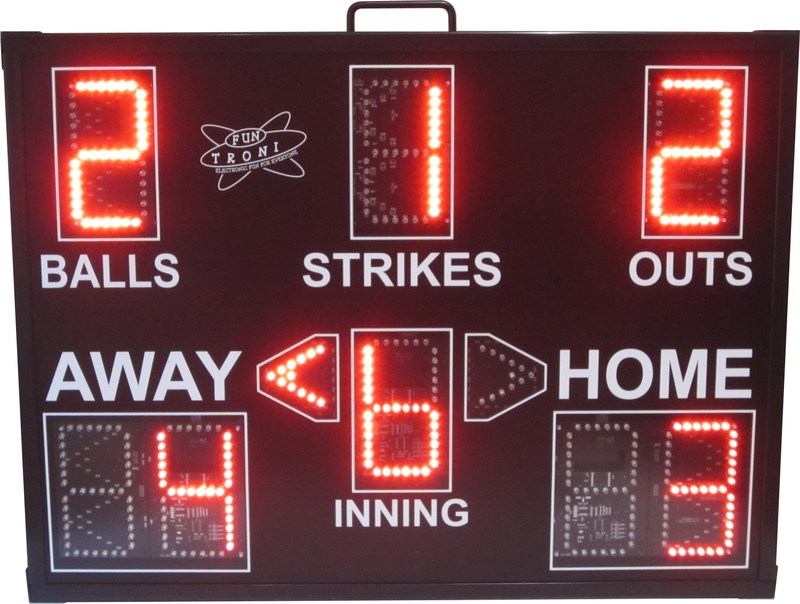 Includes balls, strikes, and outs display, and a wireless rechargeable keypad. Only $750.00. Model SNT-440BB. © 2010 - 2019 Funtronix LLC.